In only 7 days, with the power of people helping people: http://www.dollyparton.com/ received tens of thousands of visitors from across the world to find out about the weekend flood relief effort taking place at Dollywood and Dolly's Dixie Stampede. The 'Dolly Helps Nashville' Facebook page received thousands of visits and nearly 900 friends and fans. The 'Dolly Helps Nashville' Twitter page, gained nearly 40 followers totaling +/- 25,000 collectively. And what did that get the people of Nashville, TN? Because of the awareness that YOU helped bring to Dolly's flood relief effort, this weekend thousands flocked to Pigeon Forge to visit Dollywood, Splash Country and Dolly's Dixie Stampede to show their support! So as the final numbers are being tallied, please find comfort in knowing that because of each you we have raised $41,191.00! If you have not yet had the chance to donate, we will leave the donations page available on http://www.dollyparton.com/ for the next few days while the final numbers are being totaled. Come to Dollywood, Splash Country or Dixie Stampede! Area businesses continue putting their money and their manpower into flood recovery efforts in Tennessee. In addition to the Red Cross, several area organizations and companies have organized volunteer efforts and accepted donations. Earlier this week, Dolly Parton placed an announcement on her website to rally fans, family and friends to raise funds through http://www.dollyparton.com/ and to contribute to her cause during an exciting two-day event this weekend. “Dolly Helps Nashville” May 22nd & 23rd as the Dollywood, Splash Country and Dixie Stampede companies donate all admission proceeds towards a special fund to benefit Music City flood victims. Sevier County officials, members of the local press and celebrities have joined forces in this donation effort through social networking. NBC – WBIR Channel 10 Knoxville reporters were live on the scene yesterday as this charitable movement continues to make headlines. "I want to thank Dolly Parton for her efforts on behalf of the flood victims in Nashville and Middle Tennessee," Sevier County Mayor Larry Waters said as Jacob Timmons and Adam Chapman recorded his statement. "We're posting it to social media networks like Facebook and we're tweeting about it and putting it on reddit," Jacob Timmons said. "In two or three days we're getting 4,000 to 5,000 hits on the videos. And the moment we upload a video, the donation counter starts turning." It's all an effort to create buzz for this weekend's fundraiser "Dolly Helps Nashville." Other statements have been collected from Lt. Governor of Tennessee Ron Ramsey, Jeannie Seely of the Grand Ole Opry, Mountain Press Publisher Jana Thomasson, Sevierville City Mayor Bryan Atchley, LeConte Medical Center, Restaurant Owner Geoffrey Wolpert and Amanda Marr of the Sevierville Chamber of Commerce. Dolly Reaches out to Sevier County and the World! Sevier County super star Dolly Parton is reaching out to the world on behalf of Nashville flood victims. Gathering all her considerable resources in the effort, Dollywood, Dixie Stampede, and local media company S.D. Professionals, LLC have joined together to assist in raising the funds needed. May 22 and 23 have been designated as 'Dolly Helps Nashville' at her area attractions. Admission proceeds from Dollywood and Dixie Stampede will benefit Music City flood victims. 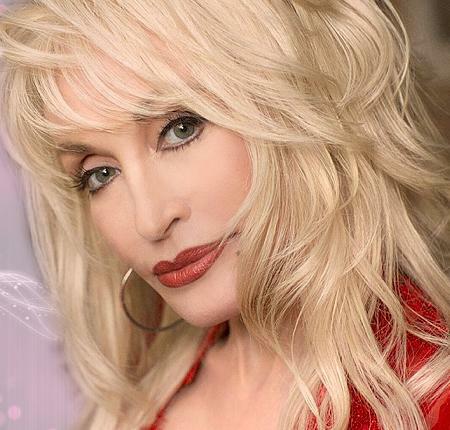 Dolly herself will be appearing to promote the event and encourage generous donations. Those unable to attend this weekend are asked to watch a special video of Dolly and contribute to the cause at www.DollyParton.com, a website donated by S.D. Professionals, LLC to allow donations from all over the world. Please visit www.DollyParton.com for complete details and to make your donation today. Dolly Parton announces 'Dolly Helps Nashville', an effort to focus on raising money to have families devastated by May 1-3, 2010 flood waters in Nashville, TN and 52 surrounding counties. "I grew up in the Smokies in East Tennessee, which was my first home. I moved to Nashville 46 years ago and that is my home now. I have family and friends in both places, and when one place hurts, I think it is just right for the other to help. On May 22 and 23, I'm having my Dollywood and Dixie Stampede companies help me host my Dolly Helps Nashville weekend. The proceeds from every guest to both of my parks and my Dixie Stampede will go to a special fund to assist Nashville flood victims. We're especially going to concentrate on those folks who lost their homes and personal possessions in this terrible flood. So many of the folks from Nashville have been coming to the Smokies. Over the last 25 years, they have helped Dollywood, Dixie Stampede and Dollywood’s Splash Country and this entire vacation area grow and that's why it's our turn to help! I am challenging other businesses in Pigeon Forge, Sevierville and Gatlinburg to make this a destination-wide effort. I want all of my fans worldwide to come to Dollywood the weekend of May 22 and 23. If you can't be there in person, then I hope you'll donate to flood victims on my secured website or mail donations by check to..."
Dolly Parton's Imagination Library has 106 enrollments in Mississippi on Thursday! Young Leaders in Philanthropy (YLP) in Jackson, MS enrolled 106 deserving kids from Community Pride Headstart in Canton, MS on Thursday! Dolly Parton’s Imagination Library is not a charity or a social service, but rather a gift to all preschoolers in a community. Learning to read is a process much like learning to speak or learning to walk. The process begins at birth. Children who have access to books and who are read to by their parent or guardian early on have a much better chance for success in school. This program is open to all children under the age of 5 years and residing in a region that is part of the Imagination Library program. Dolly Parton's Imagination Library provides free books to children until their 5th birthday. One book is mailed to the child's home each month -- if you have more than one child registered in the program, each child will receive one book per month. All books are selected for the Imagination Library program by a panel of educators and are geared to the specific age of the child receiving the books. YLP is a group of emerging young leaders who are committed to creating real, lasting change for good. They provide educational and asset building opportunites that create pathways to prosperity for families involved. Together with Community Pride, a private company categorized under Head Start Center, YLP's invest in our community through United Way's overarching mission. Dolly Parton's Imagination Library continues to expand in The United States, Canada and The United Kingdom, continuing to promote early childhood literacy for families across the globe. Community volunteers making efforts after Nashville flooding. As Middle Tennessee takes stock of the rising waters, area residents are putting their money and their manpower into the region’s recovery efforts. Tens of thousands of families have been displaced. In addition, Nashville landmarks took devastating blows. The Opryland Hotel, including the Grand Ole Opry House, where the legendary Dolly Parton often performed, has experienced millions of dollars worth of damage. The Mayor’s Office of Emergency Management is encouraging residents who want to volunteer to sign up through Hands On Nashville. Register at http://www.hon.org/. The city expects approved volunteer opportunities to be available by mid-week. As of Monday afternoon, more than 3,200 people had registered, said Brian Williams, executive director of Hands On Nashville. "Our thoughts and prayers are with all of the families harmed by the terrible storms this weekend. May they find at least some comfort in knowing the Imagination Library family holds them close to our heart"